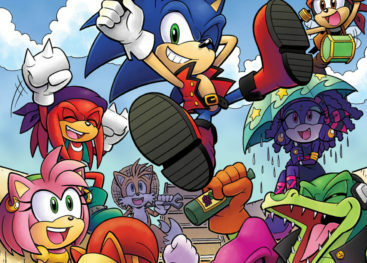 A preview of December’s Sonic Archie Comics have gone up on Comic Vine. The assets are available to see below. BOOM SHAKA-LAKA! Brace yourself for the SONIC BOOM! The hit multimedia Sonic experience comes to you in the action-packed, laugh-a-minute comic book series! 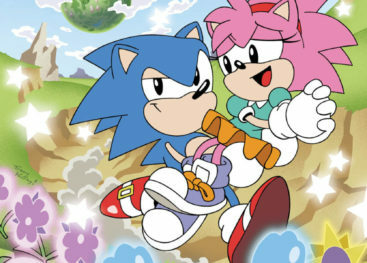 Sonic and his friends Tails, Amy, Knuckles and Sticks find themselves caught up in more zany adventures! 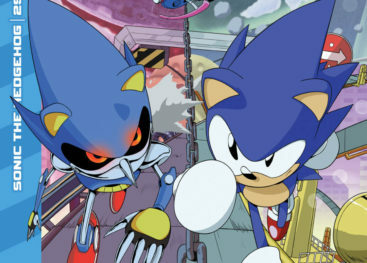 Dr. Eggman has a problem – how can the evil doctor betray the trust of the villagers when they don’t trust him to begin with? The mad mechanic pulls out all the stops to woo the wary would-be victims, but he gets more than he counted for when Sonic and his pals decide to become his staff! Then it’s off to the races as Dr. Eggman goads Sonic into competing in a go-kart race! 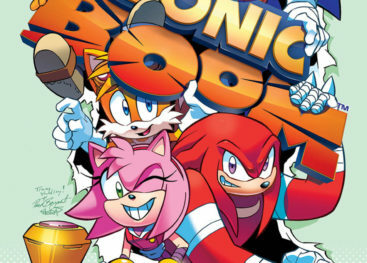 Sonic puts the pedal to the metal in this thrilling volume of Sonic Boom™! SONIC BOOM™ Vol. 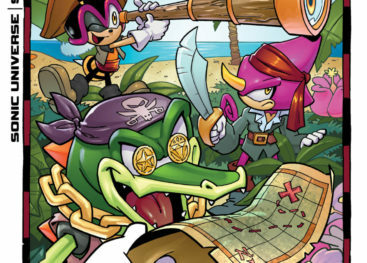 2: BOOM SHAKA-LAKA collects SONIC BOOM™ #5-7 and #11 plus bonus features! The Super Sonic Warrior returns in “Genesis of a Hero” Part Three: The 25th anniversary celebration continues with another blast to the past! Which is also to the future, and the past, and back again! When Sonic goes to see the annual return of Little Planet, he’s surprised to find it chained to a mountain! Join us for the exciting adventures of Sonic CD! Featuring cover art by the legendary Patrick Spaziante plus a “Cosmic Eternity” variant by Mr. Sonic comics himself, Tracy Yardley!